I bought some new spare batteries for my canon EOS 1300D because I do astro photography and sometimes I need to replace them during a session. 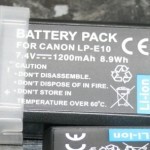 I have to admit that at first I was concerned that I wasn’t actually getting hold of the batteries which were made by canon themselves, but instead I was looking at spare batteries which had no brand to speak of. It really isn’t possible for me to say how long these last, because every time I use them the conditions are different and the drain is due to various different uses or modes of the camera. So sometimes I may spend a long time in Liveview mode as I try and attain focus – whereas other times I might get focus very quickly and not have to use liveview for more than a minute or two. I also operate in different temperatures aswell – so this may have some bearing on the duration before the batteries become flat. 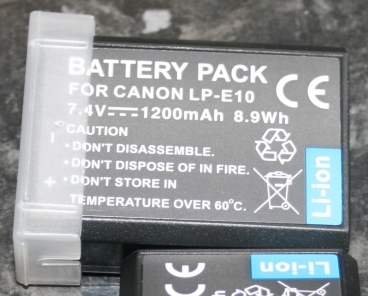 However, I will say that if I average things out – there is no noticeable difference (that I have seen) in how long these batteries will power the 1300D for before they go flat when compared to the canon original which came with the camera. But there are a few other considerations to take into account and I have highlighted these below. 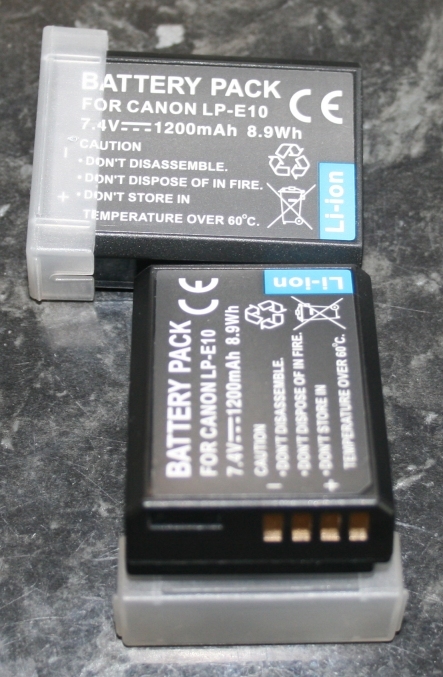 The batteries are exactly the right size for the eos 1300d – they have the identical connectors on the base positioned correctly for the slot inside the camera. They are rechargeable (naturally) and also fit perfectly into the canon supplied battery pack charger – in the same way as the originals do. I would say that when using the camera to take pictures none-stop at full jpg and also RAW, I can get about 100 to 150 photos (no flash). As I mentioned above, it is very difficult for me to compare because of the variations I encounter across photo shoots. You can see they have the LP-E10 type number on them and are 1200mAh. I have to mention that they come with the plastic connector protector which whilst this may seem trivial at first, bear in mind they are spare and therefore more often than not packed away with other items which could short circuit them if I got unlucky out there in the dark one night! I have charged both these two or three times now and had no problem with errors showing on the charger so I trust that they are charging fully and ready for use in the canon when I need them. For just a few pounds each I am pleased with these and confident now that I won’t be running out of power when I need it most during a photography session.